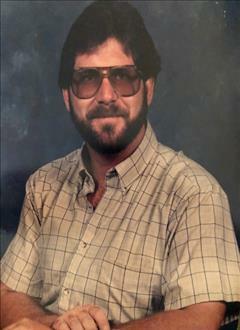 Donald K. Bookout, a resident of Henryetta passed away on April 15th, 2019 in Tulsa, Oklahoma. Donald was born to Gilbert Bookout and Frances "Deanie" (Hedrick) Bookout on February 17th, 1960. He is preceded in death by his parents. Uncles , Billy Hedrick, Leon Bookout, Kenneth Bookout, Charles Bookout, & H.B. Bookout, as well as aunts, Lorene Lassiter, Mary Bookout, & Oweta Weathers. Also by a host of friends and other relatives. Viewing for Donald will be 4-8pm Wednesday April 17th, 2019 at Integrity Funeral Service. A private family memorial will be planned at a later date.